The voices in John Rudd’s head were getting louder. It was April 2017, and Rudd, an inmate at a federal prison near Hazelton, W.Va., had stopped taking his psychiatric medication. He told staff members that he wanted to hang himself, so they moved him to a suicide-watch cell, according to records. When Rudd banged his head against the wall, trying to snap his neck, he was injected with haloperidol, an anti­psychotic drug used to treat schizophrenia and prevent suicide. Nevertheless, prison staff would conclude that Rudd wasn’t ill enough to require regular treatment. The next day, a psychologist wrote that he would be moved out of the suicide-watch cell and remain on “care level 1,” a label for those with no significant mental-health needs. In 2014, amid mounting criticism and legal pressure, the Federal Bureau of Prisons imposed a new policy promising better care and oversight for inmates with mental-health issues. But data obtained by the Marshall Project through a Freedom of Information Act request shows that instead of expanding treatment, the bureau has lowered the number of inmates designated for higher care levels by more than 35 percent. Increasingly, prison staff are determining that prisoners — some with long histories of psychiatric problems — don’t require any routine care at all. As of February, the Bureau of Prisons classified just 3 percent of inmates as having a mental illness serious enough to require regular treatment. By comparison, more than 30 percent of those incarcerated in California state prisons receive care for a “serious mental disorder.” In New York, 21 percent of inmates are on the mental-health caseload. Texas prisons provide treatment for roughly 20 percent. A review of court documents and inmates’ medical records, along with interviews of former prison psychologists, revealed that although the Bureau of Prisons changed its rules, officials did not add the resources needed to implement them, creating an incentive for employees to downgrade inmates to lower care levels. In an email, the bureau confirmed that mental-health staffing has not increased since the policy took effect. The bureau responded to questions from a public information office account and declined to identify any spokesperson for this article. “You doubled the workload and kept the resources the same. You don’t have to be Einstein to see how that’s going to work,” said a former Bureau of Prisons psychologist who spoke on the condition of anonymity because of a pending lawsuit regarding his time at the agency. The bureau said it is “developing a strategy” to analyze this drop in mental-health care, consistent with a Justice Department inspector general’s recommendation last year. Although only a small fraction of federal inmates are deemed ill enough to merit regular therapy, officials acknowledged that 23 percent have been diagnosed with some mental illness. Data shows the reduction in care varies widely depending on location. At the high-security penitentiary near Hazelton, for instance, which is near the medium-security facility where Rudd was housed, the number of inmates receiving regular mental-health care has dropped by 80 percent since May 2014. At the federal prison near Beckley, W.Va., the number fell 86 percent. Although hiring and retaining mental-health staff is a challenge for all prisons, it can be especially difficult for remote facilities. A recent study published in the American Journal of Preventive Medicine found that about half of rural communities in the United States don’t have access to a psychologist, and 65 percent don’t have a psychiatrist. Staffing shortages elsewhere in the federal prison system have forced the bureau to require some counselors to serve as corrections officers, a situation that worsened under the Trump administration after a lengthy hiring freeze designed to cut spending. In 2016, the bureau had instructed wardens to stop using psychologists for tasks not related to mental health, except in emergencies. But media reports illustrate how counselors and case managers are still being asked to do odd jobs. A bureau spokesperson said that all staff are “professional law enforcement officers first” and that the agency does not consider mental-health care to be the primary role of counselors or social workers. Current policy states that inmates are supposed to receive monthly or even weekly check-ins with a mental-health professional and be monitored by a team that meets regularly to review treatment plans and progress. Before 2014, there were no such teams, and mental-health staff were required to check in with inmates less frequently. Patricia Griffin, a former psychologist at the federal prison in Otisville, N.Y., remembers her co-workers dreading the change. “You only have so much time in the day, and suddenly your workload increased pretty dramatically,” she said. Griffin said staff members scrutinized inmates to see whether they could safely lower care levels to decrease their caseloads. Before the new policy, the inspector general’s report found, psychologists were more likely to increase an inmate’s care level when reviewing their mental-health status. But once the rules changed, they were significantly more likely to downgrade prisoners. The Bureau of Prisons said that care levels could fluctuate for many reasons, such as “inmates’ mental health becoming more stable as they adjust to prison.” An agency spokesperson noted that inmates on the lowest care level have access to “mental-health treatment services” such as psychiatric medication. Determining an inmate’s diagnosis is difficult. Prison staff say inmates frequently fake or exaggerate their problems to avoid being put in solitary confinement or to get valuable medication that they can sell, trade or abuse. But prisoner advocates and attorneys say that such skepticism leads staff members to write off legitimate mental-health needs as false reports. Federal prison data obtained and analyzed by the Marshall Project show that more inmates are turning to self-harm, although numbers vary by facility. The combined number of suicides, suicide attempts and self-inflicted injuries have increased 18 percent from 2015 — when the bureau began tracking such figures — through 2017. After Rudd was removed from suicide watch, psychology staffers determined it was likely he was feigning most of his symptoms. 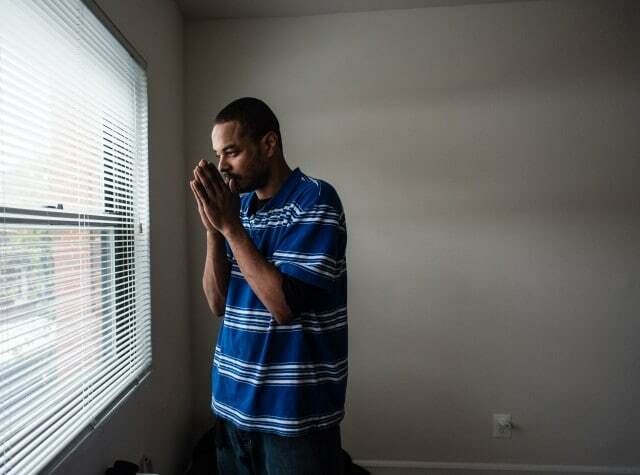 They marked his post-traumatic stress and schizophrenia — a diagnosis made by doctors at a psychiatric hospital as early as 1992 — as “resolved.” Instead, they diagnosed him with an antisocial personality disorder, and he remained on the lowest care level. That meant that instead of having mental-health staff monitoring him, Rudd was supposed to tell his guards if he felt like hurting himself again. Untreated mental illness can also contribute to prison violence. While the vast majority of people with a mental illness are not violent, research compiled in recent years shows that people with serious psychotic disorders, especially when untreated, can be more likely to commit a violent crime. And mentally ill individuals can be up to 11 times as likely as the general population to be victimized, researchers have found. Data analyzed by the Marshall Project show that the average monthly rate of assault across all federal prisons increased 16 percent from 2015 to 2016, the last full year available. Most of those incidents were not classified as serious assaults — defined by the bureau as likely to cause death or serious injury — which have declined in recent years, even before the mental-health policy change in 2014. In several recent in-prison homicides, records suggest that either the alleged attacker or victim wasn’t getting needed treatment. In 2015 at the penitentiary near Lewisburg, Pa., Jose Hernandez-Vasquez allegedly strangled his cellmate, Gerardo Arche-Felix, with a bedsheet, according to a federal indictment. He pleaded not guilty to the killing. Court transcripts show that Hernandez-Vasquez has been diagnosed with schizophrenia and suffers from delusions and paranoia. Hernandez-Vasquez’s alleged victim was also not receiving the care he needed. Records show that despite a history of psychiatric hospitalizations and forced treatment for schizophrenia, Arche-Felix was found to have “no significant mental-health issues” while at Lewisburg. He wrote repeated letters to his family begging for medication. At the high-security Hazelton penitentiary, which saw one of the largest drops in mental-health care, the average monthly rate of assault rose from 29 per 5,000 inmates in 2015 to 40 in 2016. The increase in the rate of serious assault was particularly dramatic, more than quadrupling in that period. The head of the correctional officers union there has attributed the increase in the rate of assault to guard understaffing. Violence at Hazelton made headlines this fall when infamous mob boss James “Whitey” Bulger was killed soon after being transferred to the facility. In November 2015, inmate Marricco Sykes — who his family says had been diagnosed with schizophrenia and bipolar disorder — allegedly beat and strangled another Hazelton inmate, according to a federal indictment. Most records in his case are sealed. Sykes’s family said he experiences delusions and paranoia. In a complaint Sykes filed in 2013, he wrote that guards were asking him for weapons and bombs so they could assassinate President Barack Obama. Prison staff previously found him acting “psychotic and threatening,” and he was found not guilty of an assault because of his mental illness. But Sykes’s family said that in the past few years he wasn’t getting any treatment. He is being held at a federal medical facility while his trial is ongoing. The Bureau of Prisons declined to comment on individual cases, citing privacy reasons. How inmates are diagnosed can affect them long after they leave prison. A determination that prisoners have no mental illness can make it harder to secure disability benefits or treatment once they are released. And compared with those assigned lower care levels, inmates on higher levels receive more pre-release planning for how to get their medication and find a supportive place to live. “That can be the difference between housing or no housing,” Seltzer said. 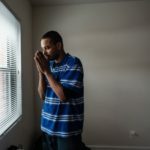 When Rudd left prison in July 2017, having served eight months for a probation violation stemming from a cocaine conviction, Seltzer’s organization helped him land an apartment, disability benefits and a therapist. His recent prison records said he had no mental illness, but case workers pointed benefits providers to his long history of psychiatric problems and treatment.